Can I use cold water with iDye (direct dye)? 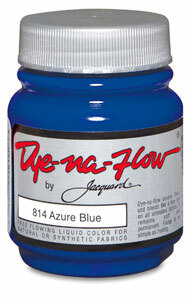 Dye-Na-Flow is a free-flowing textile paint made to simulate dye. Great on any untreated natural or synthetic fiber. Message: I bought iDye in the USA as it said dissolves in water. Now that I am in Mexico and opened the package, it says HOT water. I don't have hot water and I don't have a pot that is not used for cooking...I can make small batches of water in my electric tea pot. Can I use cold water? It looks like you bought the wrong kind of dye for your circumstances. Most dyes require heat. Without heat, they simply will not bind to the fiber in your fabric. There is no point in even trying a hot-water dye, if all you have is cool or room-temperature water. Jacquard iDye contains direct dye, which is a type of hot-water dye for plant fibers such as cotton or rayon. (See "About Direct Dye".) Direct dye works best when simmered with the fabric for half an hour or longer at a temperature of at least 86°C (or 187°F). However, it can be used, if a little less effectively, with water that's hot enough to scald, at 60°C (or 140°F); perhaps you could buy a cheap polystyrene foam cooler and fill it with water heated, one potful at a time, in your electric teapot, if whatever you're dyeing will fit into the cooler. The insulation of the cooler would help to retain the heat long enough for the dye to work. You'll want the cooler to be a cheap one, since you should not plan to reuse dyeing equipment for food, but sturdy enough not to spring a leak when filled with water. You will also need a long-handled spoon to stir the fabric in the dyebath. Note that iDye is a different type of dye than iDye Poly, which is usually sold in the same display. iDye Poly is a type of dye called disperse dye. iDye is intended for use on cotton or rayon in very hot water, while iDye Poly is intended for use on polyester in actually boiling water. Don't try to dye polyester without a means to boil your dyebath throughout the dyeing process. When you next have an opportunity, you should buy some cold water dye. The dye you should buy, if you are going to be dyeing at room temperature, is Procion MX fiber reactive dye. 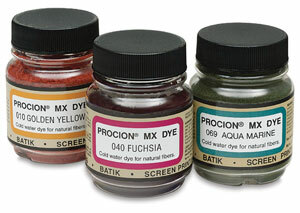 In spite of its being described as a "cold water dye", Procion MX dye should be used at a warm room temperature 21°C (or 70°F) or above. All other types of dye, even other types of fiber reactive dye, require warmer temperatures than this. 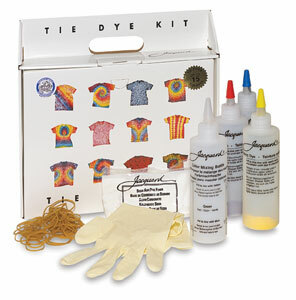 Many crafts stores in the US carry this dye only in three-color tie-dyeing kits. If this is the only form you can find, buy it, because the same dyes and fixative used for tie-dyeing are equally suitable for many other types of dyeing, as long as you are dyeing either a plant fiber, such as cotton, linen, rayon, or hemp, or else silk, which, though it is a protein fiber, is sturdy enough to withstand the high pH of the fixative used in these kits. In the US, you can mail-order a marvelous range of colors in the Procion MX line, as many as a hundred different pre-mixed colors from some suppliers. I don't happen to know of a local source for Procion dyes in Mexico, nor of a dye supplier that will ship to Mexico, even among companies that ship internationally to other countries. Unfortunately, Dharma Trading Company does not at this time ship to Mexico, and Jacquard Products' store finder returns no results for Mexico. Blick Art Materials, which carries many Jacquard Products items, including Jacquard brand Procion MX dye, does supply mail-order catalogs to Mexico, so perhaps they will ship dyes to Mexico. Also see my list of "Sources for Dyeing Supplies Around the World", for suppliers in the US and in other countries (but unfortunately not Mexico); other suppliers listed there in various countries might be able to ship to Mexico. As an alternative to dye, fabric paints can be applied at room temperature; most require pressing with a hot iron to heat-set the paint, after it is dry. Fabric paint does not look or act quite like dye, but it can be useful in circumstances that dye is not suitable for. It should be specifically labeled for use on fabric, as paints other than fabric paints produce a hard, stiff, scratchy feeling on fabric; fabric paints are much softer and nicer.